When other methods of treating spinal or neuromuscular conditions fail to provide relief, a procedure called rhizotomy may be recommended in order to target and disable problematic sensory nerves in the spinal cord. While not a permanent solution, a rhizotomy procedure can alleviate pain and assist mobility for as much as eight months to a year. 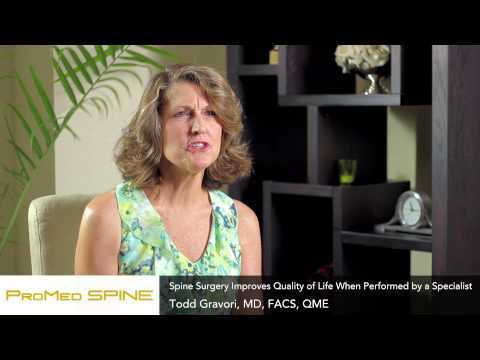 At ProMedSPINE, Dr. Todd Gravori, MD, and his team of board-certified neurosurgeons and spine specialists specialize in performing minimally invasive spine operations and non-surgical methods in order to help patients return to their everyday activities comfortably. Using only the most cutting-edge spine treatments, our patients can find relief from painful spinal conditions, such as spinal osteoarthritis, stenosis, degenerative disc disease, and injury. To schedule a consultation with our expert surgeons, please fill out our online contact form. We have offices conveniently located in Los Angeles, Encino, and Valencia. Similar to a facet block, a rhizotomy targets the facet joints, which are located on either side of each vertebra of the spine and aid in movement and flexibility. The procedure is minimally invasive, requiring only an incision and insertion of a series of needles into specific parts of the back. For example, a cervical rhizotomy would target facet joints in the neck, while a lumbar rhizotomy would target those in the lower back, and a thoraco-lumbar rhizotomy would target those in the mid-to-lower back. A rhizotomy is an outpatient procedure that may be performed in an operating room or surgery center. 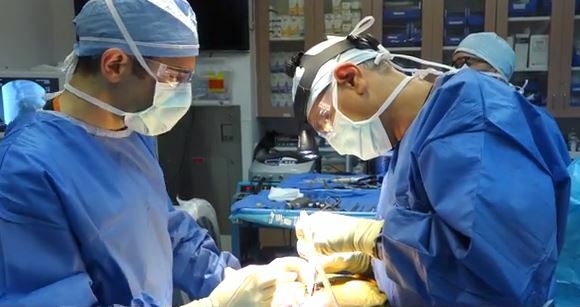 One of our expert spinal surgeons will sterilize the area of the back to be operated on with soap before a local anesthetic is injected to help numb the area. If the patient is particularly nervous, an IV sedation line may be administered to provide medication that will help him/her relax. With the help of a fluoroscopy, which is an imaging machine, the surgeon will be able to accurately target the affected area, injecting a contrast dye to confirm that a needle and electrode are placed correctly. Finally, a mild electrical current is applied to the electrode using radiofrequency waves, allowing the surgeon to heat and disable the targeted nerves, and cutting off their ability to transmit signals to the brain. In total, the procedure may only take 20 minutes to complete, but the results may last for almost an entire year before the disabled nerve grows back. The procedure may be performed every six to eight months. Please visit Wikipedia to learn more about rhioztomy. Contact ProMedSPINE for Pain Relief Today! If you or someone you know is suffering from chronic back pain, learn more about how rhizotomy can provide much-needed relief and enhance your everyday life. Let us help you get you started on your journey toward a pain-free future! Next, read about joint injections.